A UP train crossing through Rochelle, Ill. Hear both stories: Guy Stephens and Chase Cavanaugh report on GLBR's potential economic impact for Morning Edition. The argument for the Great Lakes Basin Railroad is that it will be an economic driver for the region. But while some are enthusiastic about its potential, some are skeptical – including the railroads that are supposed to be its major clients. Great Lakes Basin Railroad lawyer Mike Blaszak says the line will be a boon for the railroads using it -- and for their customers. He cites the example of fracking sand that is mined in Wisconsin. That’s just one example, Baszak says. Blaszak also says it would also give the railroads more flexibility. “Norfolk Southern and CSX, the two Canadian railroads -- Canadian National and Canadian Pacific -- which operate through Chicago, and the other smaller regional lines they would connect with. They would now have the option rather than just dealing with BNSF or UP, through us they could deal with anybody and they could send shipments to more places,” he says. 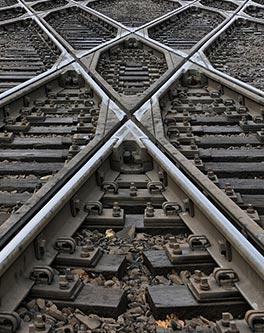 The GLBR says the line also will provide important connections as well as flexibility for businesses in the region. Jason Anderson agrees the line could provide enormous benefits. He’s the economic development director for the city of Rochelle. He says the city's experience with its municipal railroad shows the value such a plan can have. He’s referring to the Union Pacific and the Burlington Northern Santa Fe railroads. Their lines cross in the city -- there's even a park at the crossing with an observation platform for train watchers because of the number of trains going through -- and Anderson can point to a number of projects, such as the re-location of railcar maker Nippon Sharyo to Rochelle, that had rail access as a key component. Anderson says the region is crossed by or is near seven interstate highways and four Class 1 railroads. So if you expand Rochelle’s model out to the region encompassed by the GLBR, there are tremendous possibilities – possibilities he thinks should be explored. 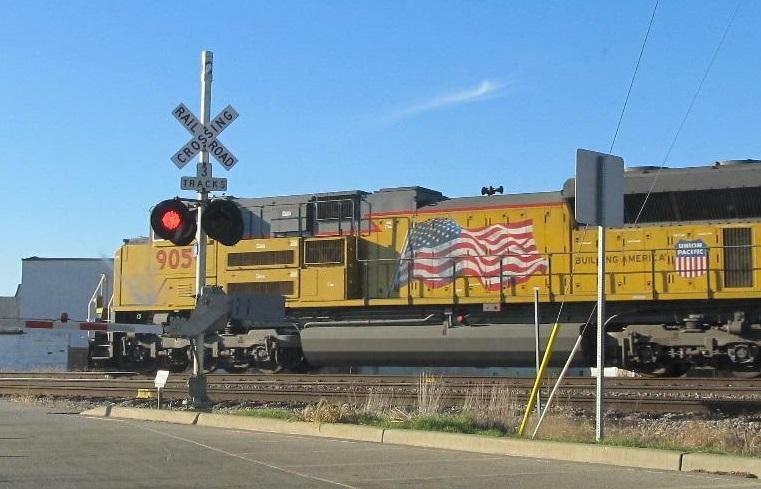 Union Pacific, like the other major carriers, has committed resources to CREATE, the huge public-private effort to improve the flow of rail traffic through the Chicago area. The other major railway passing through Rochelle, BNSF, did not respond to inquiries. For others, actions may speak louder than words. Just a few years ago the Canadian National railroad bought a rail line that forms a ring around the outskirts of the Chicago area, with the expressed intent of diverting some of its trains away from the congestion of the city and inner suburbs. It now connects to BNSF and other railroads. In a sign of its commitment to the ring line, when cities along the line complained of problems caused by the increase in trains, CN reluctantly agreed to provide a greater-than-usual share of the funding for several overpasses and other traffic mitigation projects to help gain approval for the route. Anderson says communities and businesses should take a thorough look at all the pros and cons of the GLBR and make plans accordingly. But with none of the projected users on board, the viability of the line’s business model is still very much in doubt. That makes a commitment to use the line a doubtful enterprise as well. The Rockford area remains ambivalent about the GLBR's economic impact. Read Chase Cavanaugh's report. What’s the Great Lakes Basin Railroad and why should I care? The GLBR is a proposed railway that, if you live in northern Illinois, southern Wisconsin, or northwest Indiana, you’ve either never heard of or have spent a lot of time learning about over the last year. Under the current route proposal, the Great Lakes Basin Railroad would enter Kankakee County, Illinois, just below the Will County line, traveling west-southwest to enter Grundy County a couple of miles above its southern boundary. AMC's Hell on Wheels is a fictionalized version of the construction of the First Transcontinental Railroad across the Wild West in the 1860s. The show draws much of its drama from a greedy tycoon who encourages workers to weave and wind tracks every which way to maximize profit—with little regard for the land. Upon seeing a blueprint, self-proclaimed "villain" Thomas Durant laments, "Why have you made my road so straight?" That is not so easy to get away with these days. 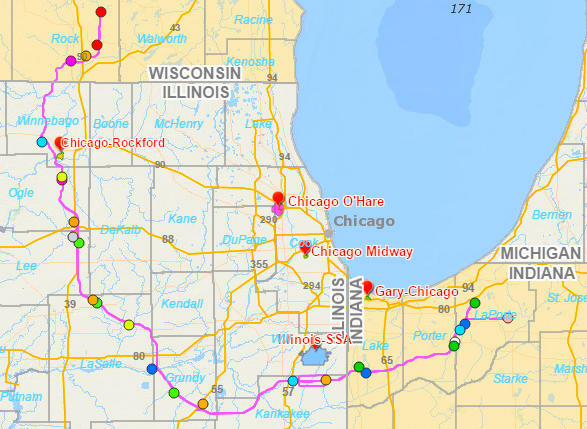 Over the past year, through three iterations of route proposals, many landowners were outraged when they learned their homes and farms were in the path of a railroad that would divert freight traffic around the Chicago area. They took that anger to a series of sometimes raucous public hearings. But it’s easy to lose sight of the individuals in a crowd. This isn’t just a gang of rabble-rousers; these are real people. So we met with opponents of the Great Lakes Basin Railroad on their own turf: turf that the rail company would like to sink its tracks into. Before a company like Great Lakes Basin can build a railroad, it needs land. And since much of that land is privately owned, the firm needs a way to buy it. 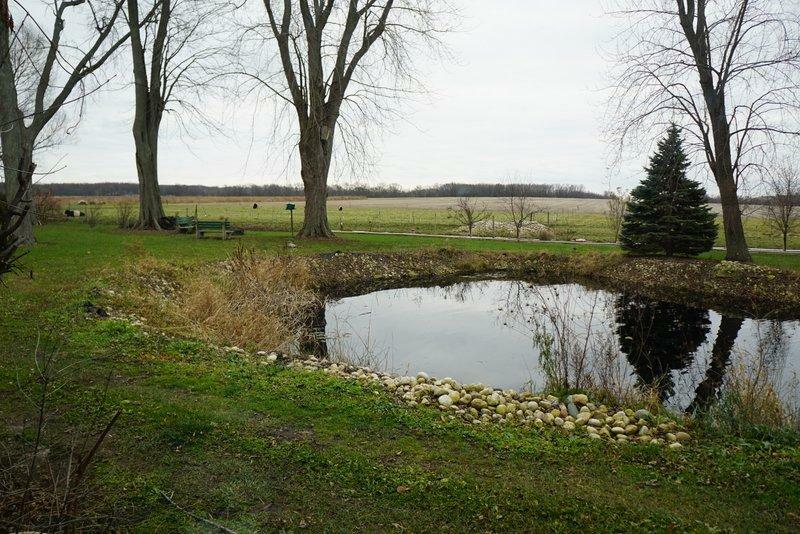 How can a company like Great Lakes Basin Transportation convince people to sell their land when it's needed for their project?